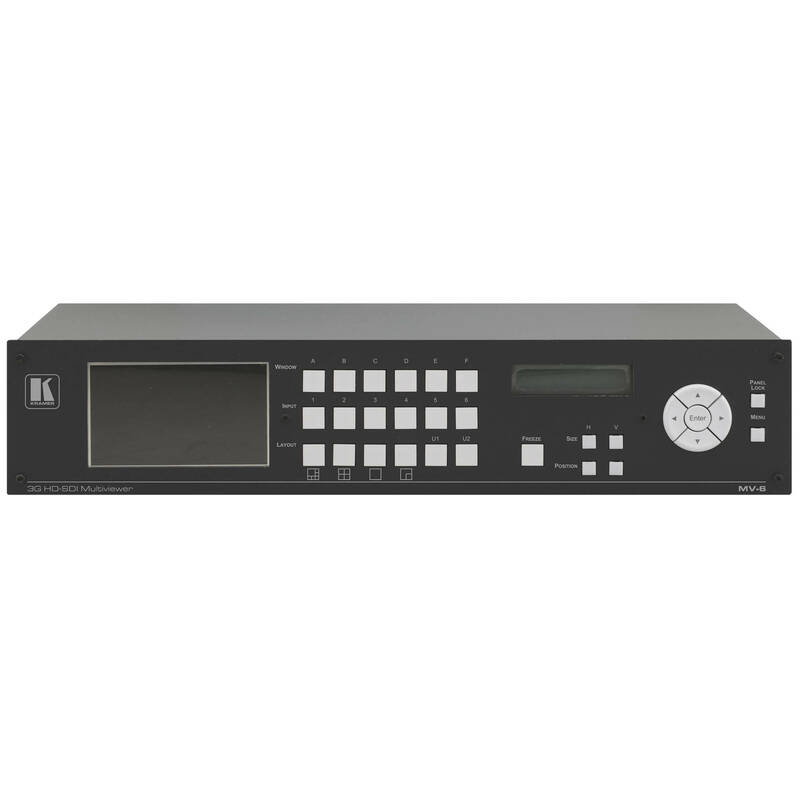 The Kramer MV-6 3G HD-SDI Multiviewer is a versatile, high-performance multi-viewer for 3G HD-SDI video signals. 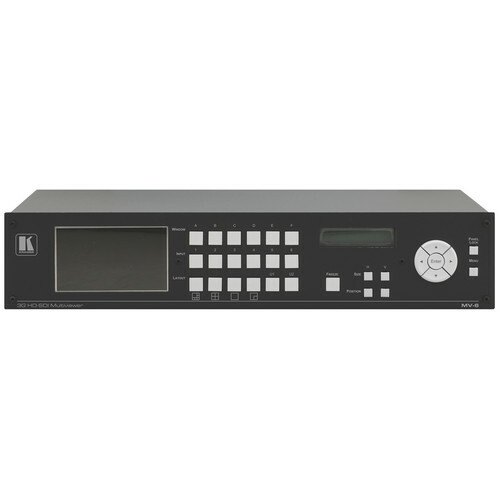 It can display up to 6 inputs in any combination and output the image in SDI, HDMI, and CV formats. Both pre-programmed and customizable screen divisions are supported. Box Dimensions (LxWxH) 21.5 x 11.5 x 6.5"